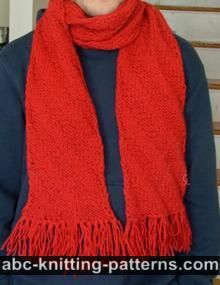 The scarf is worked back-and-forth from short to short edges. 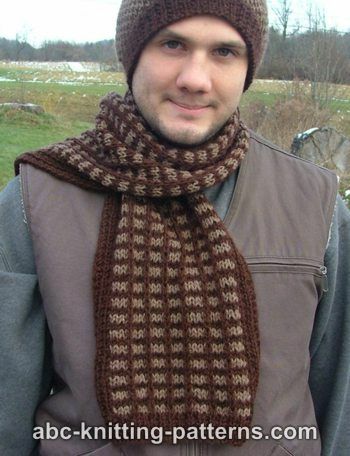 The scarf is worked from 3 balls of yarn, 2 of color B and 1 of color A, using intarsia method. Needles: 3.75 mm/ US #5 straight needles OR SIZE NEEDED TO OBTAIN GAUGE. Row 3 (RS) with color A: *k3, sl1 wyib (slip 1 with yarn in the back)*, repeat from * across the row to the last 3 sts, k3. Row 4 (WS) with color A: *p3, sl1 wyif (slip 1 with yarn in front)*, rep from * across the row to the last 3 sts, p3. Intarsia - worked from different balls of yarn. Work to the place of color change, drop the old color, pick up the new color from under the old color and work to the next color change. 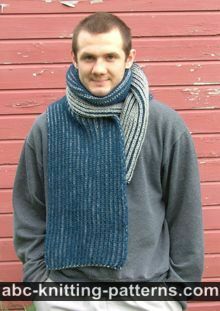 The selvedge/edge stitches are worked as follows: knit the first stitch and purl the last one. With color B cast on 39 sts. Work 6 rows of Broken Rib pattern. From row 7 work from 3 balls of yarn. Row 7 (RS): with color B: sl 1, k5, drop this yarn, with color A: *k 3, sl1 wyib*, repeat from * 6 times, k3, drop this yarn, with color B (from the second ball) k 5, p1. Row 8 (WS): with color B: (k1, p1) 3 times, drop this yarn; with color A: *p3, sl1 wyif, repeat from * 6 times, p3, drop this yarn; with color B (k1, p1) 3 times. Row 9 (RS): with color B: sl 1, k33, drop this yarn, pick up yarn B from the second ball of yarn: k5, p1. Row 10 (WS): with color B from the second ball of yarn: sl 1, p1, (k1, p1) 2 times (=6 sts), drop this yarn, pick up yarn B from the first ball, p 27, (k1, p1) 3 times. 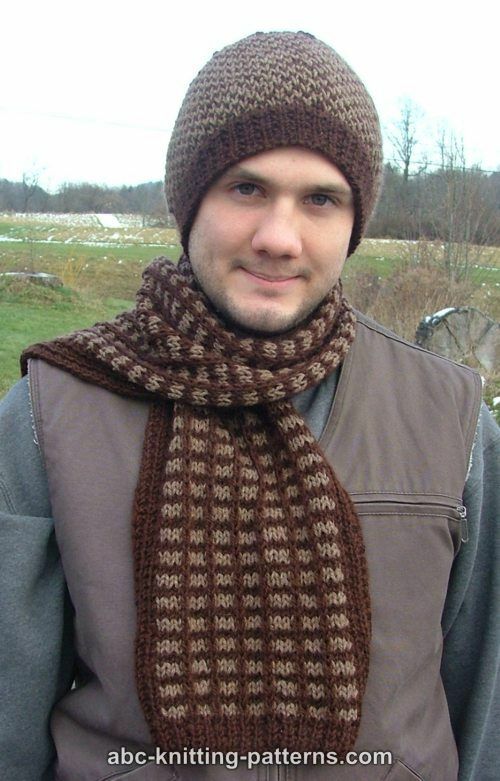 Repeat rows 7-10 until desired length. End with 6 rows of Broken Rib pattern in color B. Pattern was updated on September 17, 2018. 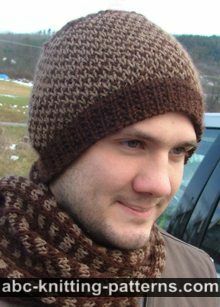 I'm thinking I'm missing something or the pattern is not specific enough regarding the two balls of yarn of one color. 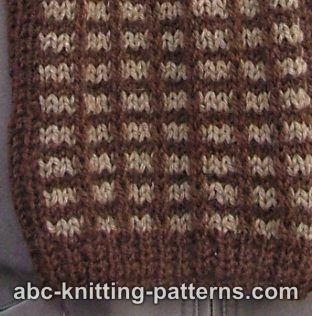 When I do the first row of the color A - there is a gap/hole until I do a knit row - I'm sure the hole isn't right. Then there is no joining of the last 6 sts on one side - I'm using ball 2 of Color B all the time. Now on row 10 both working yarns of Color B are on the same end. Ugh. If you can help, that would be great. Thank you. Where do the vertical ribs in color B come in? The pattern seems to go in horizontal stripes, I don't see any vertical ribs.